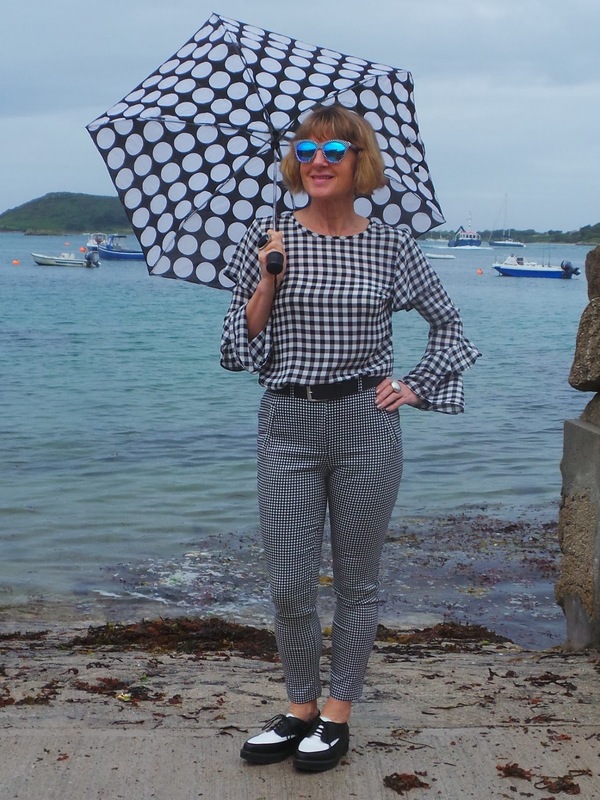 #5 Over 50 Challenge: 50 Shades of Monochromatic | Is This Mutton? Thank you - too kind! Thanks Laurie! Not much of a tan, it was so hot in Greece I stayed in the shade most of the time! What a top tip to save the white outfit for the last day, so it matches your tan! Thanks Ashley! Mr Mutton is an impatient snapper so I didn't have many shots to choose from! Thanks Patti...those pearls cost me less than a pound in the sale a few years ago, and I wear them so much! This is a great look on you Gail. You really suit white. Hope you are having a nice start to your week. Thanks Gemma, hoping for a return to the heatwave so I can wear white here too! They are the most comfortable sandals too! I rarely wear heels lately but these sandals are thr bomb. Good old M&S. Your photos are such a wonderful holiday reminder for you Gail. Keeping white for the last day is a brilliant idea - you look like you managed to get a great tan over the week. 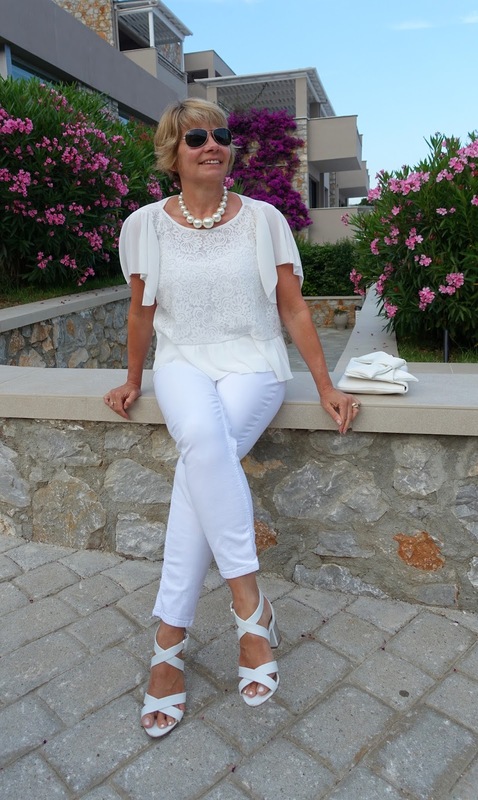 I love your all white look, Gail! The different textures look fabulous! And I just LOVE your pearl necklace! You all look lovely. I wish I could wear light colours but my dog jumps up me. Thanks for sharing at Creative Mondays. I love this outfit, especially the top and shoes. I wish I could wear an all white outfit without getting it dirty! Great tip about saving the whites for the end of the holiday! Thanks for linking up! It would look stunning with your colouring Jacqui!